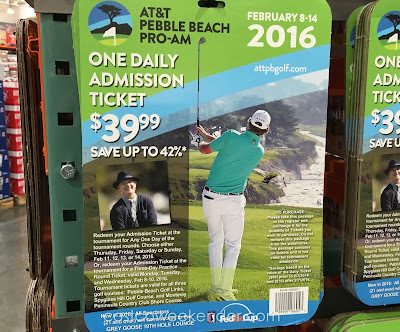 Every golfer or fan, at one point, circles the AT&T Pebble Beach Pro-Am on his or her calendar. Typical California weather is mild so while the rest of the country is still reeling over winter, the Pro-Am is continuing the golf season. Pebble Beach is one of those iconic golf courses that every golfer would like to play on at least once in their lives. Being a public course, you can tee off from the same box as the likes of Jordan Spieth or putt on the same hole as Rory McIlroy. But it will cost you quite a bit. 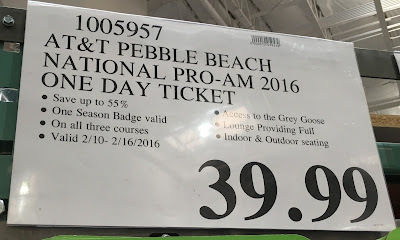 So do the next best thing and watch them compete with the AT&T Pebble Beach Pro-Am One Daily Admission Ticket. Where else can you see pros like Phil Mickelson and celebrities like Bill Murray all sharing the same golf courses. I went to one tournament several years ago and decided to go on the opening Thursday round to avoid the weekend crowds. It was a great day and lots to see...an unforgettable experience. 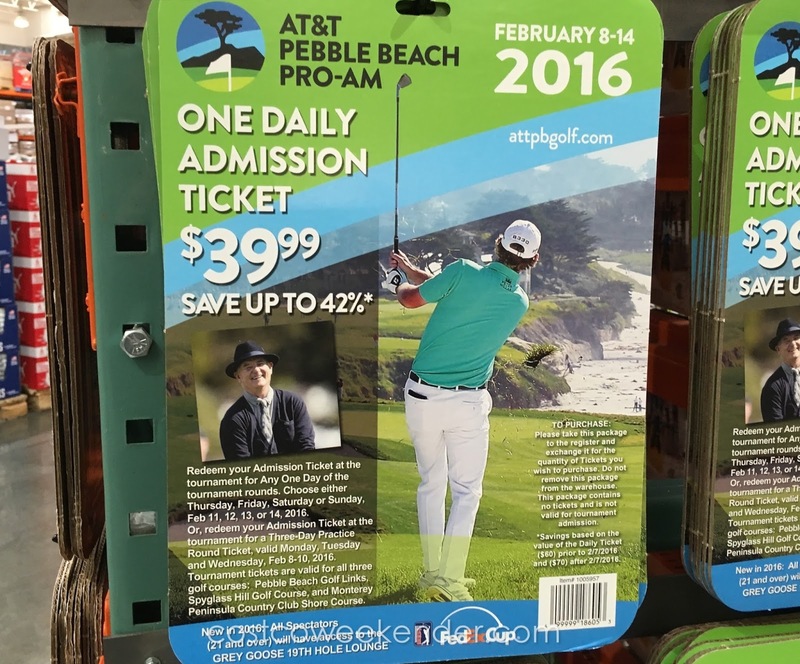 AT&T Pebble Beach Pro-Am One Daily Admission Ticket – Redeem your Admission Ticket at the tournament for Any One Day of the tournament rounds. 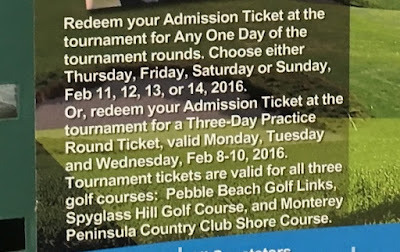 Choose either Thursday, Friday, Saturday or Sunday, Feb 11, 12, 13 or 14 2016. 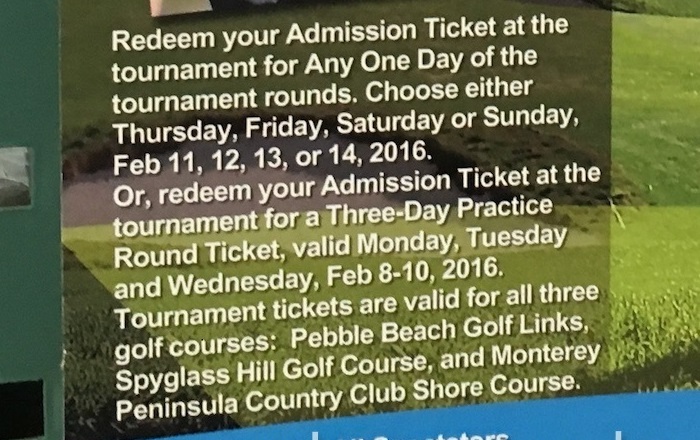 Or, redeem your Admission Ticket at the tournament for a 3-day Practice Round ticket valid Monday, Tuesday and Wednesday, Feb 8-10 2016. 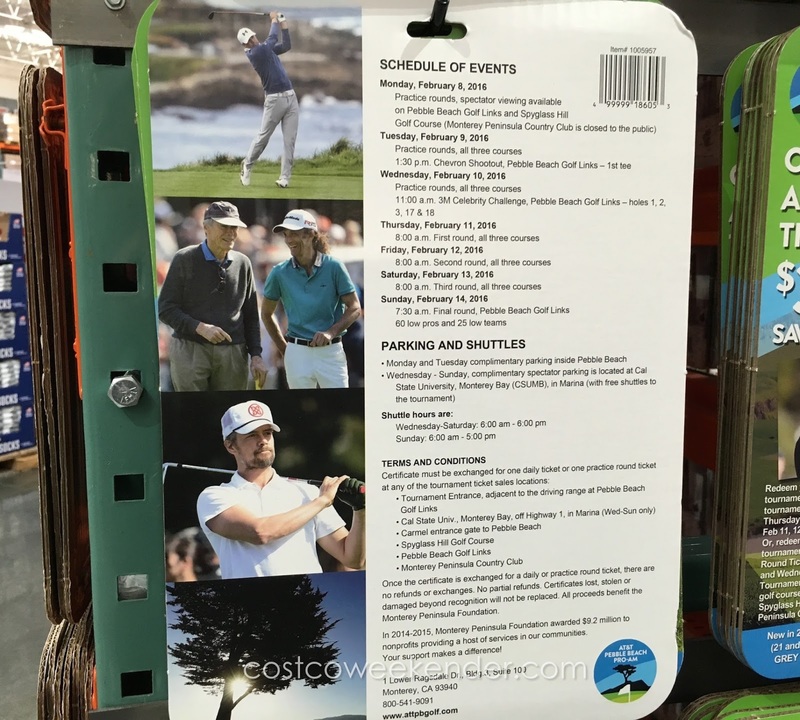 Tournament tickets are valid for all 3 golf courses: Pebble Beach Golf Links, Spyglass Hill Golf Course, and Monterey Peninsula Country Club Shore Course. New in 2016: All Spectators (21 and over) will have access to the Grey Goose 19th Hold Lounge. Once the certificate is exchanges for a day or practice round ticket, there are no refunds or exchanges. No partial refunds. Certificates lost, stolen, or damaged beyond recognition will not be replaced. All proceeds benefit the Monterey Peninsula Foundation. in 2014-2015, Monterey Peninsula Foundation awarded $9.2 million to nonprofits providing a host of services in our communities. Your support makes a difference!